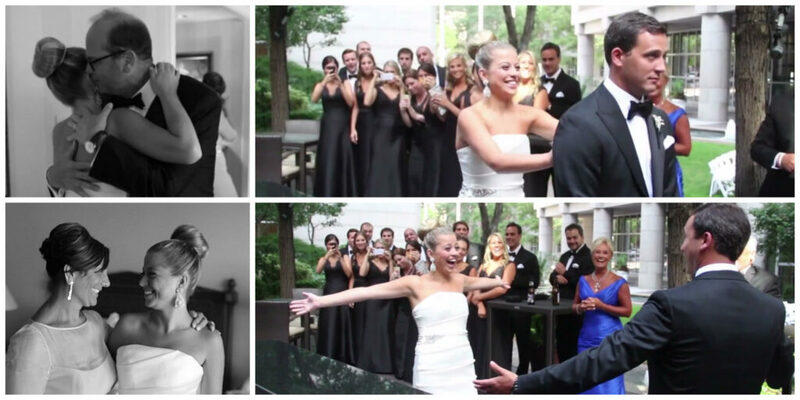 Join the Allure Films team for a preview from Kate and Chris’s Philadelphia wedding. The gorgeous outdoor ceremony, at the Four Seasons Hotel, was followed by an eventful evening of celebration. Just when we thought this stunning location couldn’t get any more perfect, Evantine Design showed us some décor magic. See for yourself! Kate, Chris, and their guests were showing off their moves on the dance floor, as EBE – LA Starz shared awesome tunes! It was hard to choose our favorite quote of the night, but here it is. “Kate and Christopher: May your marriage enrich your lives. May you be best friends, better together than either of you are apart.” We wish all the best to these newlyweds. Congratulations Kate and Chris! Check out a preview from Kate and Chris’s wedding day below.